In this article the results from the Matrixwissen survey on unusual life experiences will be published gradually as they become available. This survey was conducted from January 2015 until September 2016. Participants in the survey were visitors of my Matrixwissen.de website, which used the link to the survey displayed on the site. A total of 489 people took part in the survey. Unfortunately only 372 data sets were complete. 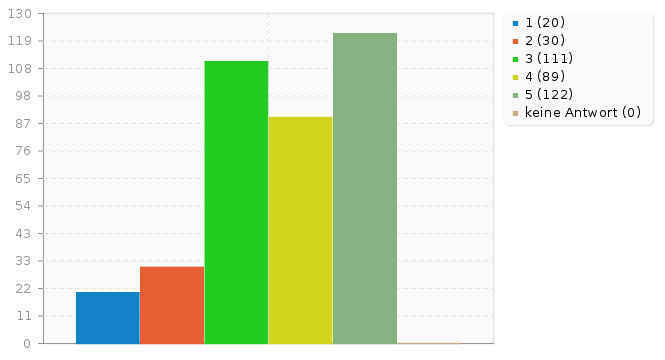 Completeness in this case means that the survey was answered at least until the end of the Big-Five personality test. Questionaires that were aborted before the personality test, were not used during the evaluation. All participants have spent at least 15 minutes on the survey - some even spent more than 60 minutes answering it. (The different expenditure of time was caused by the design of the survey - since for every type of experience a participant claimed, additional questions related to that experience type were added dynamically to the survey). Many people have written long free text commentaries to explain their experience in more detail. In this survey only people took part who decided to do so out of their own choosing and there were no incentives offered which might have motivated people to give false or inaccurate answers. Based on the invested time, the many extensive commentaries and the lack of incentives for fakers, I consider the existing data credible and resilient. 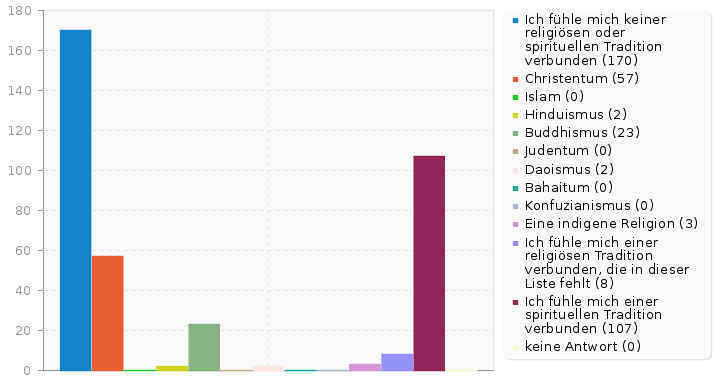 One downside of drawing the sample for this survey from my Matrixwissen.de website was the existing bias towards openness for spiritual topics, which many readers of my website might have. Thus the collected data is not respresentative for the general population but rather reflects the characteristics of the readers of my website. During the time frame of January 2015 until September 2016 about 730.000 people have visited Matrixwissen.de. The participants of the survey represent 0.05 percent of all visitors. Now let's get started with reporting the results. 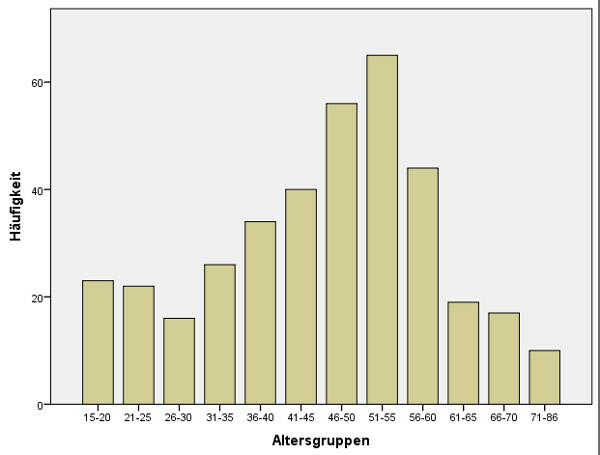 Even though the survey was available in German as well as in English, the majority of the participants originated from Germany (75%). Additionally 5% of the participants originated from these countries respectively: Austria, Switzerland and USA. The remaining 10% of the participants originated from a variety of countries (UK, Canada, India, Italy, Netherlands, Poland, Russia, Sweden, Turkey, as well as other countries from Europe, Africa and Asia). The participants on average have 1.08 kids and 1.96 siblings. Are you rather materialistically (=1) or spiritually (=5) oriented? A clear bias towards spiritually oriented was observed, which can be attributed to the general interest into spiritual topics of the readers of my Matrixwissen.de website. Only 10 people (2.7%) considered themselves as materialistic (=1). The exact distribution is shown in the following diagram. For later evaluations I have grouped everybody who answered this question with 1 or 2 into the group of the "materialistically oriented". In the same manner those who answered with 4 or 5 were assigned to the "spiritually oriented" group. Both groups will be refered to at a later stage of the evaluation. Which religious or spiritual tradition do you feel connected to? Do you believe that events which happen in your life are primarily based on coincidence (=1) or primarily based on destiny (=5)? Also in this answer a clear bias towards destiny was observed. 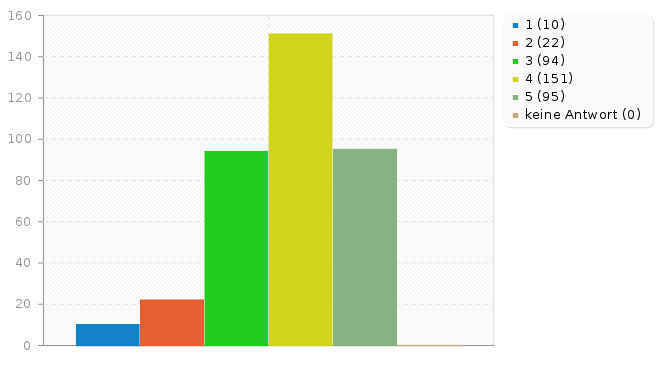 122 people (32.8%) chose 5 as answer, whereas 111 people (29.8%) chose 3 - so the middle between both extremes. A second set of analysis groups was formed based here: Those who answered 1 or 2 were assigned to the "coincidence-oriented" group whereas those answering with 4 or 5 were assigned to the "destiny-oriented" group. Do you believe in the concept of karma? How did your world view change in the course of your life? In this question 133 people (35.75%) answered that their world view shifted radically and that they see the world in a completely different way today. 137 people (36.82%) reported a substancial change to their world view, for 55 of these 137 people the change was triggered by a specific event. For 81 people (21.77%) the change happened gradually in small steps and for the remaining 21 people (5.65%) their world view has not really changed much and remained relatively stable. How do you evaluate your own interest in paranormal topics (like near-death experiences, telepathy, precognition, remote viewing, etc)? The replies to this question clearly reflect that the participants of this survey were recruited through my website, since readers of Matrixwissen.de have a special interest in these kind of topics. Thus 150 people (40.32%) are "extremely interested", 120 people (32.26%) are "very interested", 79 people (21.24%) are "interested", 18 people (4.84%) are "a little bit interested" and the remaining 5 people are either not interested or undecided. Have you barely survived a life-threatening illness? Have you experienced telepathy with a living human being or an animal? Have you had a precognition which lateron actually happened? Have you experienced an extraordinary synchronicity? Have you seen / perceived auras? Have you been successful at remote viewing? Have you witnessed or caused telekinesis phenomena? Have you had an experience of "missing time" (for at least one hour with no alcohol or drugs involved)? Have you experienced a paranormal haunting (poltergeist, voices, etc)? Have you seen / perceived a deceased individual or a ghost? Have you experienced an alien abduction? Which influence have all experiences - for which you just replied with "Yes" - had collectively on your world view? Do you have relatives or close friends which have told you about their own unusual experiences (any of the topics from the previous list)? How reliable do you consider the experiences reported by your relatives / good friends? What influence did the experiences of your relatives / close friends have on your own world view? A correlation analysis between gender and the different types of unusual experiences was performed in order to find out if specific experiences are happening more often to women or to men. For this analysis all cases where the answer "uncertain" was given, were not considered. This reduced the sample size for the evaluation but in most cases the remaining sample was still about 300 people, so a decent size for an evaluation. The only option which was not evaluated statistically was the question related to having experienced an alien abduction since out of th 372 participants only 2 women and 3 men reported having this experience which is not enough for making a statistical analysis. Interestingly 25 people answered this question with "I am uncertain". The correlation between the belief that human beings have free will and the list of 14 types of unusual experiences was evaluated. Out of the 14 experiences only "Seeing / perceiving a deceased individual or a ghost" showed a significant correlation with the belief in free will (Level of significance 0.030 / Rho -0.119). The correlation is negative, so people who do not believe in free will, report these experiences more often. With Rho at a level of -0.119 this is a rather small effect but for all other types of experiences there was no significant correlation at all. The belief in karma and in reincarnation both show a connection to experiencing telepathy, to experiencing unusual synchronicities and to seeing a UFO. But there is also an interesting difference: The belief in reincarnation shows a direct connection to seeing deceased individuals or ghosts but for the belief in karma the same type of experience shows no connection. Furthermore the participants were asked how religious they considered themselves. Only those 91 people were asked this question how answered in a previous question, that they felt connected to a religious tradition. A correlation analysis between their reply on how religious they considered themselves and the 14 types of experiences was performed but for 13 out of the 14 experience types no correlation was found. The only significant correlation (Level of significance 0.016) was found for "surviving a life-threatening illness". The effect had a Rho value of 0.365 which is an unusually strong effect compared to the other discovered correlations. This was an unexpected find and it implies the relevance of religious belief in the healing process. 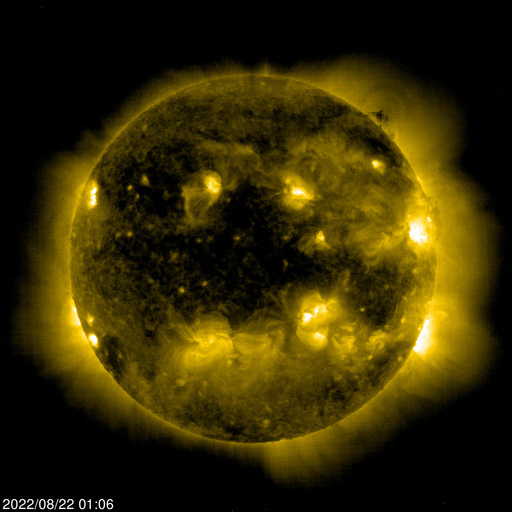 During the evaluation of the destiny versus coincidence variable a couple of consistency tests were performed. For example it would be expected that the belief in destiny directly correlates with the belief in karma - which it does (Level of significance 0.000 / Rho 0.338), but the correlation between believing in destiny and the belief in reincarnation is even stronger (Level of significance 0.000 / Rho 0.461). It should also be mentioned that there is a significant correlation (Level of significance 0.000 / Rho 0.358) between having had a traumatic childhood experience and being sexually abused during childhood. In many cases the traumatic experience might have been a sexual abuse. Several discovered correlations are also found when checking for direct correlations between experience types with sexual abuse during childhood but the effects are smaller in that case. There seem to be no correlations when the sexual abuse happened when the person was a teenager. Since the evaluation of beliefs in karma and reincarnation have shown a clear correlation, it was now evaluated if the three identified types of experiences which showed up in all three previous evaluations also show correlations to other kinds of experiences. A further correlation of frequent occurances (Level of significance of 0.043 and a Rho of 0.344) was found between "frequent remote viewing" and "frequent out-of-body experiences", but his correlation was to be expected since both experience types are closely related. A tendency to be organized and dependable, show self-discipline, act dutifully, aim for achievement, and prefer planned rather than spontaneous behavior. The tendency to experience unpleasant emotions easily, such as anger, anxiety, depression, and vulnerability. 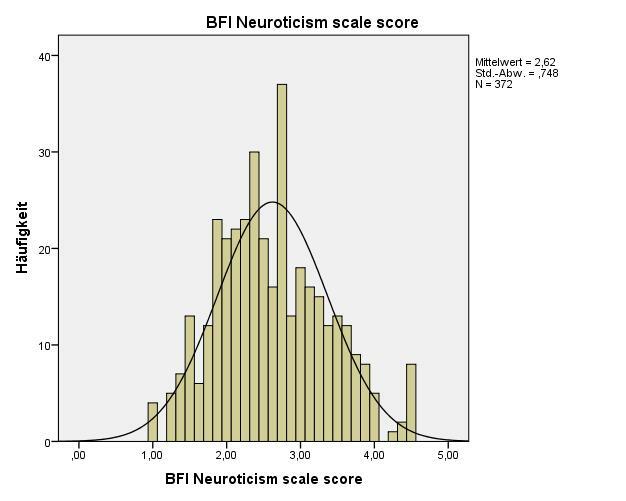 Neuroticism also refers to the degree of emotional stability and impulse control and is sometimes referred to by its low pole, "emotional stability"
Remarks on these results: The mentioned Big Five average values should only be considered as a rough guidance for values of the average population. They stem from a large internet survey of the University of Berkeley. In general no norm values are provided for this test because the values depend on age and should be treated with care. 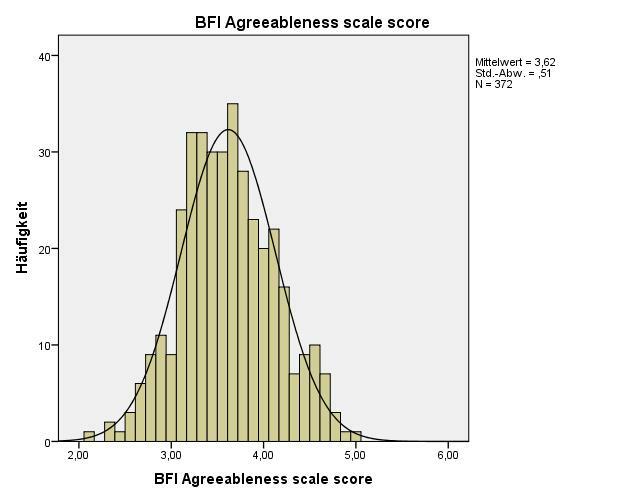 Additionally development trends can be observed within the Big Five, for example openness and neuroticism tend to drop with age, whereas agreeableness and conscientiousness tend to increase with age. Contrary to my original expectation that the Matrixwissen sample might show values significantly above average for the openness factor, these values are only slightly above average. On the other hand neuroticism in the Matrixwissen sample is significantly below the given average values. Remark: Experiencing telepathy was the only type of experience which showed a significant correlation with 4 of the 5 personality factors. That conscientiousness showed the strongest correlation might indicate the necessity to handle the received telepathic information in a diligent manner in order to receive any information at all. Additionally trust seems to play an important role: The more detailed evaluation of the participant's replies showed that 54.5% of the people they had telepathic contact with were people whom they "trusted completely". Remark: A more detailed evaluation which focused on the amount of out of body experiences a person had, did not anymore show the significant correlation to openness, whereas the correlation to agreeableness was even stronger in that case (Level of significance 0.001 / Rho 0.286). Remark: When replacing the question if someone saw a UFO with the question how often a UFO was seen, a significant correlation with extraversion can be observed (Level of significance 0.048 / Rho 0.246). Additionally a considerable negative correlation with openness can be observed ( Rho = -0.196) but it is not significant, thus normally it would not even be reported but I found the negative prefix was worth mentioning. 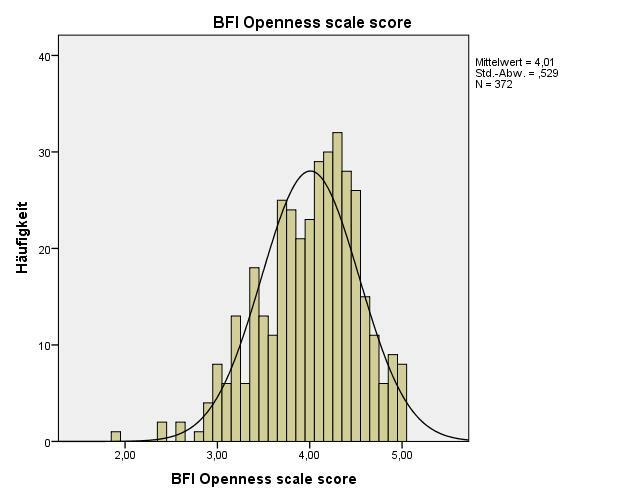 In general the frequent and expected correlations with the openness factor stand out. Openness proved as significant for 6 types of experiences but the same also applies to conscientiousness. Agreeableness was significant for 5 types of experiences and extraversion showed up 4 times. 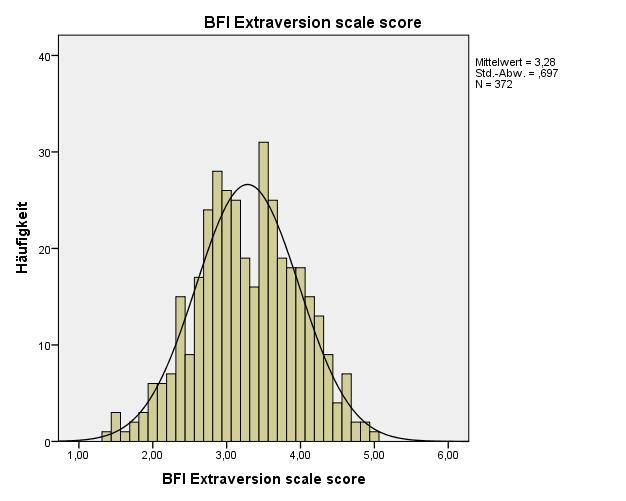 Neuroticism on the other hand did not have significant correlations with any of the 14 experience types. Interestingly the factor openness is missing for the two very similar experience types "Experiencing a paranormal haunting" and "Seeing / perceiving ghosts or deceased individuals" but both experience types share conscientiousness as a common factor. That conscientiousness has so many correlations to different experience types is a bit surprising since the personality traits associated with it are: "thoroughly, planning, effective, responsible, reliable, considerate". When asking the average citizen whom they expect to have these kind of unusual experiences you will probably get "wackos" as response, since the media likes to portray it this way. The evaluation of the Matrixwissen survey supports the opposite. 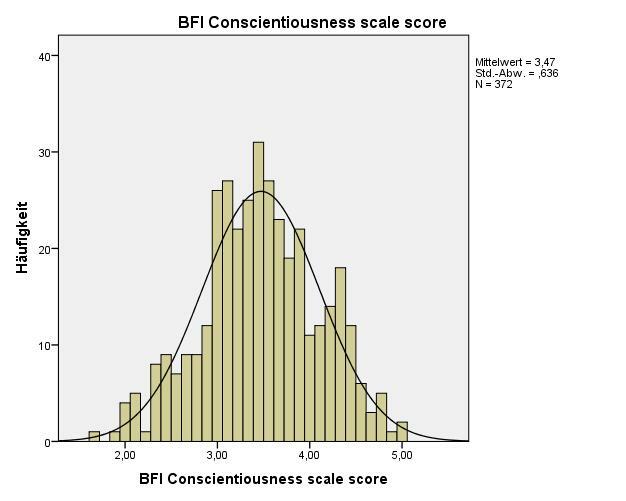 The unusually low average of the Matrixwissen sample when it comes to conscientiousness does not quite fit with the relevance of the factor for having these kinds of experiences. The neuroticism factor showed no significant correlation to any of the experience types. The Rho values did indicate a negative correlation for most of the experience types. So the more neurotic a person is, the less probable the corresponding experiences seems to be. Significant negative correlations with neuroticism were measured when looking at the frequency / number of unusual experiences. The participants were asked to what extent their world view had changed during their life (see graph shown before for "How did your world view change in the course of your life?"). It was assumed that particularly the personality factor "openness to experience" would play an important role in this change but the evaluation of all 5 personality factors with respect to the answer of this question showed no significant correlation whatsoever. "Openness" was actually the least significant factor (Level of significance 0.619) whereas "Conscientiousness" was almost significant (Level of significance 0.058). I'm not sure how to interprete the lack of influence of the openness factor. Maybe the self-evaluation of how one's world view changed is not a reliable variable. I have tried to remove the "special event" aspect of the question by merging option 3 and 4 into one option, but this only had minor influence on the result. "Conscientiousness" just reached the threshold of becoming significant (level 0.05) but the Rho value of 0.102 indicates a weak effect. The level of significance for "openness" dropped to 0.768 through the merging of option 3 and 4. In order to evaluate the aspect of the changes in world view more thoroughly, the participants were asked which influence the unusual experiences they have had (all 14 different experience types combined - or those of them which they actually experienced) had on their world view. The corresponding graphic was shown before (see question "Which influence have all experiences - for which you just replied with "Yes" - had collectively on your world view?"). So there is a connection between high values in openness and larger changes in world view by unusual experiences. Unfortunately it is not possible to determine any causality (e.g. experience causing more openness or more openness opening a doorway to have more experiences in the first place) because for causal evaluations measurement data before and after the experience is required. A couple of other factors of influence were investigated, e.g. how the level of education (determined by having a university degree) is correlated with specific experiences. In this case the only correlation that was found was a negative one between higher education (having a university degree) and experiencing a haunting (e.g. poltergeist). The strength of the effect (Level of significance 0.011 / Rho -0.138) did not change when differentiating if people had a bachelor, a masters or a PhD degree. The negative correlation might just imply that people with higher education are in general not so easily convinced that they really experienced a haunting and are maybe more aware about tricks that might be played on them as well as alternative explanations. For the remaining 9 types of experiences no significant correlations were found. It is an interesting find, that the level of school education shows such a strong correlation particularly to the first 3 listed experience types because I would classify them as a group of "outward oriented" experiences that have more potential for misinterpretation or flawed observation compared to many of the other experience types that can be considered more "inward oriented". To clarify this distiction with "outward oriented" I am particular refering to the sense of sight and observing reality with our physical eyes, whereas "inward orientation" is seen as a more inner intuitive way of perceiving the world. I am not sure why telepathy and out-of-body experiences - which I would consider as "inward oriented" - also show up here but their level of significance differs by the power of ten and their effect sizes are smaller than the first 3 experience types. The factor of sexual orientation played hardly any role with respect to having particular unusual experiences. Further evaluations are planned but will take some time. New results will be added here, as they become available.